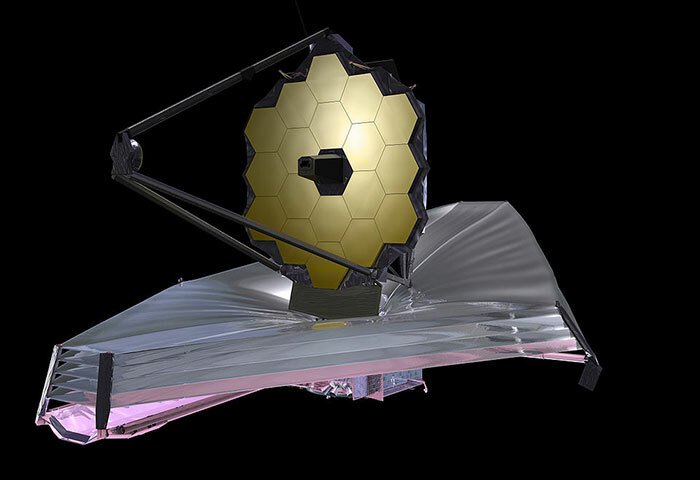 We were having lunch with an astronomer the other day when the subject of the James Webb Space Telescope came up. Somewhat to our surprise, he was not particularly interested in the JWST. Nor was his lack of interest simply due to the instrument’s enormous cost and uncertain schedule. He was much more excited more excited about the new PLANETS telescope being built in Hawaii. This story belongs in the fiction section with Harry Potter. NBC News analyst James Oberg reports that Russian cosmonauts are unhappy with accommodations aboard the International Space Station. The complaints surfaced during a post-flight press conference by cosmonaut Gennady Padalka on September 21. The Russian segment of ISS provides each cosmonaut with about 1/7 as much living space as the American segment, according to the report. Padalka also stated that the Russian segment is cold and noisy, according to Oberg, and compared it to a tiny Krushchev-era apartment or khrushchevka. The housing accommodations are of concern to citizen space explorers visiting ISS. Citizen explorers who travel to the station via Soyuz stay in the Russian segment. Living conditions are undoubtedly acceptable to short-term visitors, who have not complained in the past, but there may be other effects. Padalka stated that extended one-year stays aboard ISS are unacceptable without major improvements to the Russian accommodations. One-year stays have been proposed in order to free up seats in Soyuz capsules for citizen explorers such as Sarah Brightman. If the cosmonauts revolt, Roskosmos may need to change its plans. If that happens, there may be no more Soyuz flights for citizen explorers. This points to the need for new facilities in orbit, such as the private space stations Bigelow Aerospace is working on. If those facilities are slow to emerge, the development of citizen space exploration in low Earth orbit may be hindered. Fortunately, a flourishing suborbital spaceflight industry will exist by that time and, unlike the orbital tourism industry, it will not be limited to multimillionaires. Is NASA the Next California? “There’s a new word now for that old-school vision of California, and that word is – Texas!” Bill Whittle produced the following video about California’s economic problems and XCOR’s move to Texas. 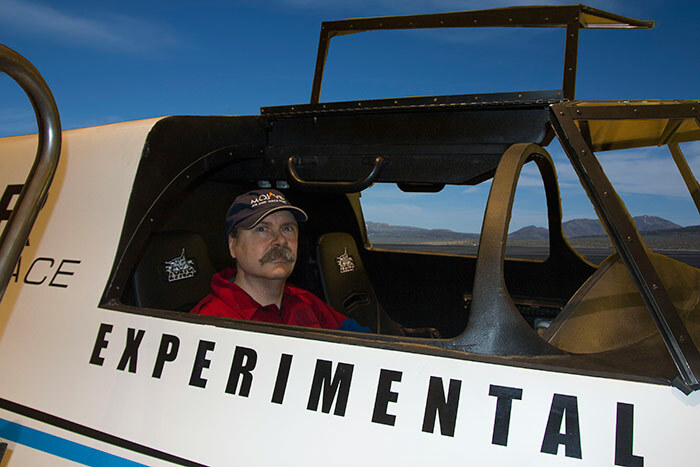 California needs companies like XCOR a lot more than the companies need California, but the state does not seem to realize that. California’s denial mirrors many of the statements we hear from politicians in DC about commercial space. Like the government of California, they think private enterprise needs the government (in this case NASA) more than the government needs private enterprise. Popular Mechanics has published a short summary of talks given at the Air Force Association Air & Space Conference, including interesting views from two former NASA astronauts. The Grasshopper test vehicle made its first brief test hop today at SpaceX’s test facility in McGregor, Texas. The suborbital Grasshopper is intended to prove techniques that could lead to a recoverable first stage for the Falcon launch vehicle, as shown in the following animation. The B612 Foundation’s privately funded deep-space mission, Sentinel, received major support this week from prominent members of the business and financial community. Steve Krausz, general partner at US Venture Partners; James Leszczenski, engineering manager at Facebook; and Shervin Pishevar, managing partner at Menlo Ventures have joined the Foundation’s Founding Circle, which contributes substantial funding to the mission and pledges continued support in areas of finance, technology and science. The B612 Foundation has also received new support from the Margaret Jonsson Family Foundation of Dallas, Texas and the William K. Bowes Jr. Foundation of San Francisco. Masten Space Systems has released the following statement on the loss of the Xaero vehicle during flight test on September 11. Last week we encountered a sub system failure in flight that necessitated turning the rocket off while still in the air. Landing at that point winds up considerably rearranging the rocket into rocket parts. Consumer Reports has found that modern Pyrex glassware is less resistant to thermal shock than Pyrex which was made years ago. This is due to changes in the type of glass used to make Pyrex. This mundane example reflects the problems engineers face when trying to recreate old systems. Components and materials that were used in the original design may no longer be available, and if they are still being manufactured, the new items may not be functionally identical to the original. That’s why it isn’t feasible to rebuild the Saturn V today, as some nostalgic space buffs have suggested. It’s not because NASA has lost the blueprints – that’s an urban legend – but because the supply chain for critical components no longer exists. We attended the 100 Year Starship Symposium mostly out of curiosity. There’s not a lot of commonality between 100 Year Starship and Citizens in Space. We focus on making low-end, near-term applications of human spaceflight available to the average citizen. 100 Year Starship, on the other hand, is about as high-end and long-term as you can get. Still, we were curious to see how the 100 Year Starship organization was planning to approach such an audacious challenge. The Discovery Channel has done a lot to make the public aware of the dangers of asteroid impacts, through numerous documentaries. Discovery Communications, which owns the Discovery Channel, is doing more than just scaremongering, though. Discovery has partnered with Lowell Observatory to build the 170-inch Discovery Channel Telescope, which saw first light in April of this year. The Discovery Channel Telescope will spend part of its time looking for potentially dangerous near-Earth objects. It won’t be hunting alone, though. Planetary Resources and the B612 Foundation are planning space-based telescopes to search for near-Earth asteroids. It’s good to see so the private sector stepping up to the plate on this, since politicians have shown so little interest. Today is the 50th Anniversary of President John F. Kennedy’s famous speech at Rice University, in which he called our the reasons for landing a man on he Moon. Kennedy’s speech remains one of the most famous and rousing bits of oratory in US history. Unfortunately, it was also one of the most misguided, and his words have helped to malform space policy for half a century. Masten Space Systems has posted a blog entry about today’s test flight, which didn’t go as well as planned. Today, Masten Space Systems conducted a flight test of Xaero to 1 km altitude with the intention of testing flight controls at higher ascent and descent velocities. Our test objectives were met and initial results show the vehicle performed better than expected at altitude. 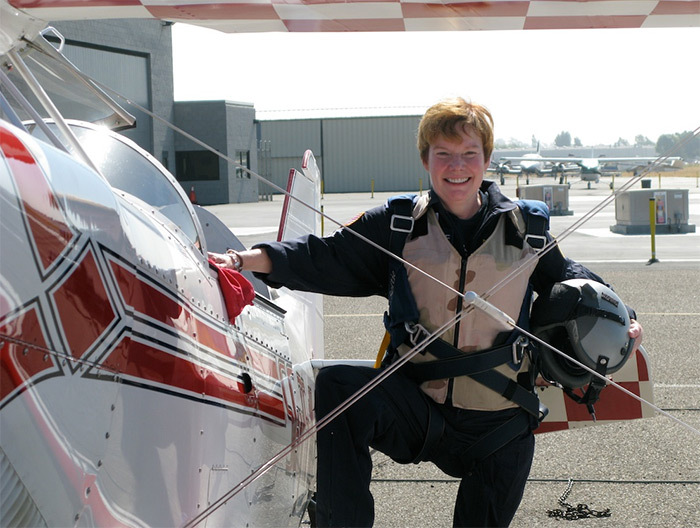 However, the vehicle was lost during final approach to landing, and the initial cause appears to be a throttle valve failure. The most important thing is that our team is safe and with the data from this test, we expect to be flying again soon! That’s why they call it testing. Spaceweather.com reports an explosion on Jupiter, which was detected by two amateur astronomers. According to Spaceweather.com, the event occurred at 11:35 Universal Time on September 10. Dan Peterson of Racine, Wisconsin, observing through a 12-inch Meade telescope, observed a white flash lasting for 1.5-2 seconds. George Hall of Dallas, Texas was capturing a video of Jupiter at the time, which also captured the event. It’s believed that the explosion was due to a comet or small asteroid collision. Similar events were observed in the past, in June and August 2010. These events underscore the continuing importance of amateur astronomy, as well as the need to discover potential impactors that could hit our own planet. Among the emerging commercial space transportation companies, Blue Origin is the most secretive and mysterious. 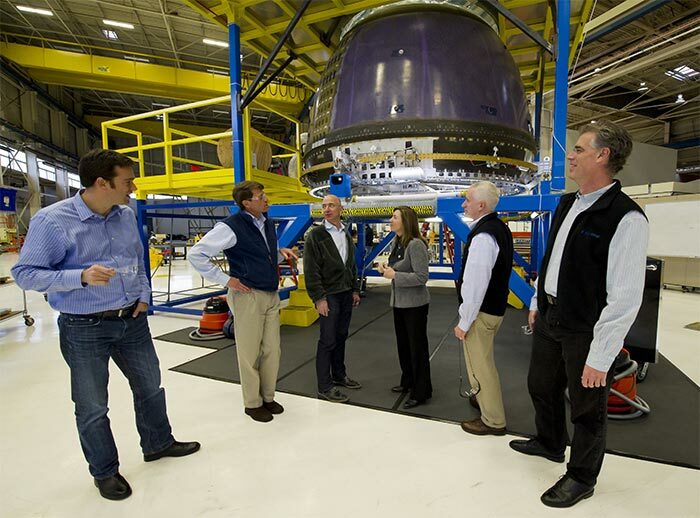 A rare glimpse inside the company’s Kent, Washington headquarters came in December 2011 when NASA Deputy Administrator Lori Garver got a VIP tour from Blue Origin founder (and Amazon.com CEO) Jeff Bezos. The following photo was released by NASA. Jeff Bezos and Lori Garver stand at the center. The white-haired gentleman is Blue Origin president Rob Meyerson. What appears to be a Blue Origin crew capsule hangs in the background. 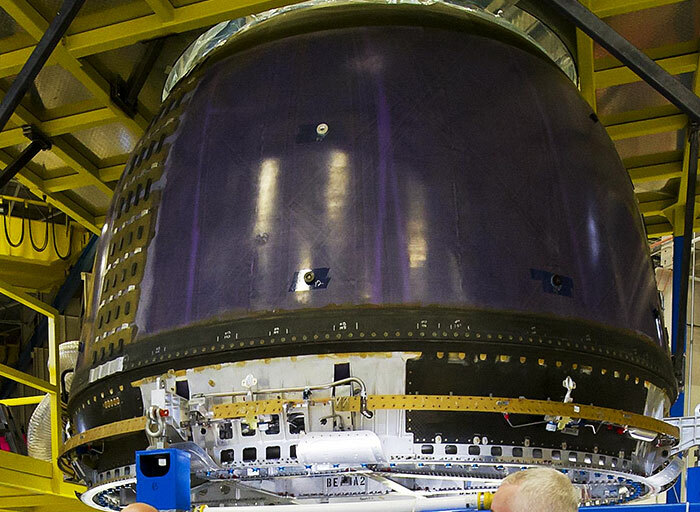 An enlarged view of the capsule appears below. 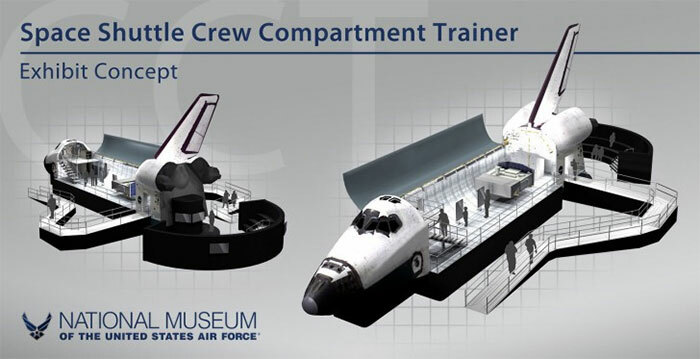 The National Museum of the US Air Force is preparing to display the Space Shuttle Crew Compartment Trainer (CCT), which was donated to the museum by NASA. The museum has selected an Ohio company, Display Dynamics, to build a full-scale mockup of the cargo bay and tail section, as shown in the following artist’s conception. The complete mockup will cost $1.5 million. The Crew Compartment Trainer, which is being displayed temporarily in the museum’s Cold War Gallery, arrived at the museum by Super Guppy last month. It will eventually be displayed in a new Space Gallery in the museum’s fourth hangar, a $48 million structure scheduled for completion in 2015. A 60-seat classroom/theater is also planned as part of the Shuttle exhibit.